This post is a little different in comparison to how I’ve been using my ISS model and paper astronauts. Sometimes it’s difficult to keep up with the events on the ISS, researching these events, updating my website, updating this blog, and spending time with my family; on top of that, making my models! So, this demonstration will be very simple and hopefully these photos will explain the “LEE” situation more clear. Although I will cover US EVA’s 47 and 48, the Canadarm maintenance started last year with US EVA-44. 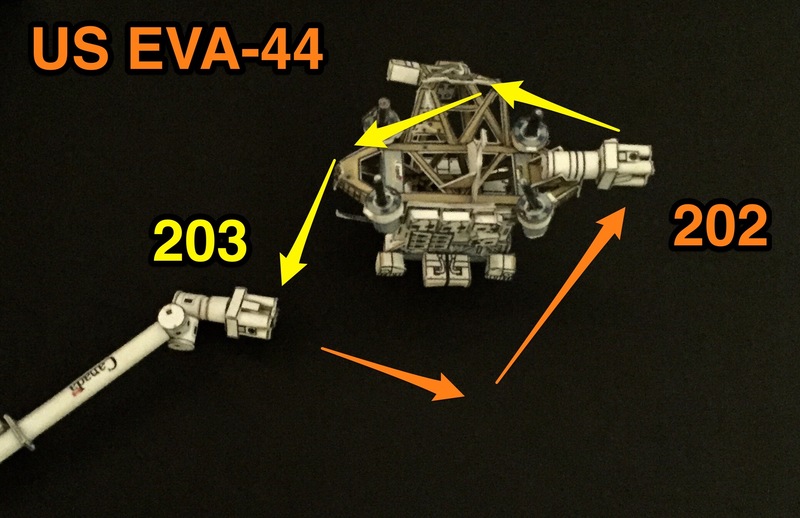 Check my post I presented for US EVA-44 here. 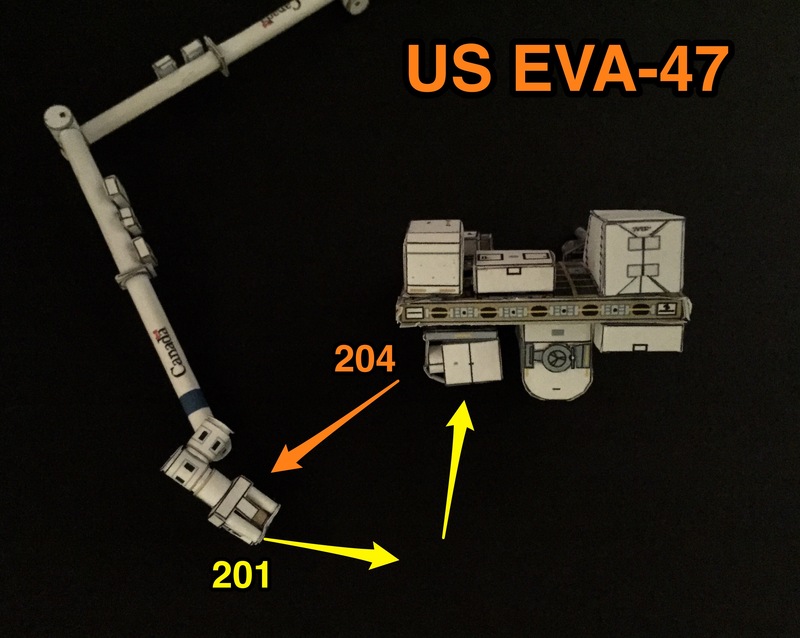 Here is a brief graphic of this EVA. 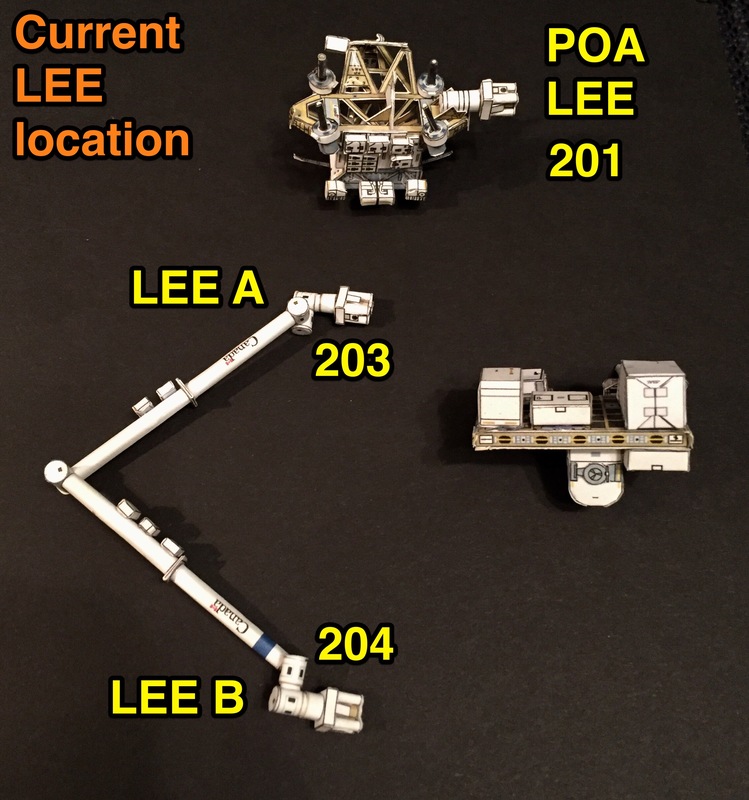 During US EVA-44, the original LEE A (202) was moved to the MBS and was replaced with the POA LEE 203. Before jumping into the actual EVA’s, here is a photo that shows the original LEE serial numbers before the maintenance. 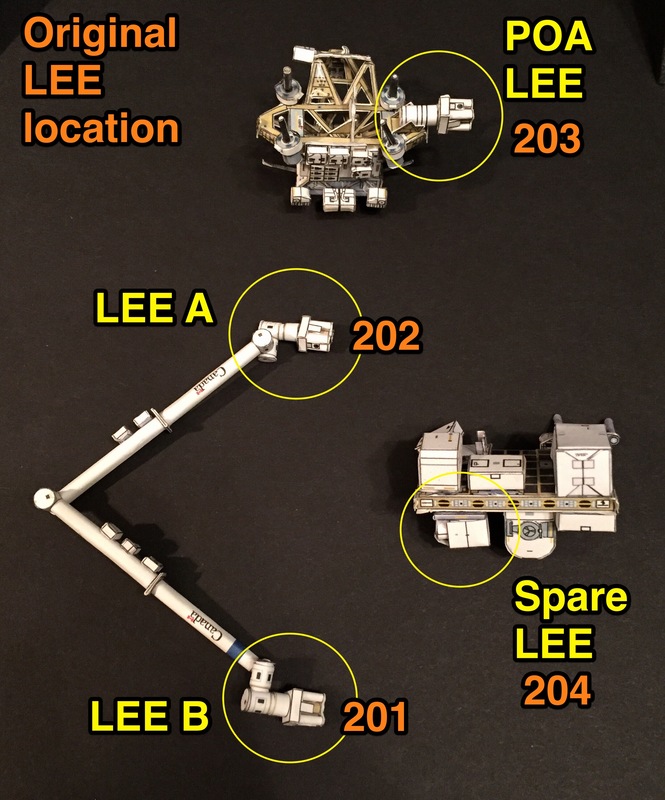 It is important to note that the spare LEE located on ESP-2 actually was moved from ELC-1 during the UTA/LEE swap that took place on Nov 15, 2017 in preparation for US EVA-47. Check here to see all the ESP-2 modifications. US EVA 47 took place on Jan 23, 2018. US EVA-47 consisted of replacing the failed LEE B 201 with the spare LEE 204 from ESP-2. EVA-47 took Seven Hours and 24 Minutes in duration. US EVA 48 took place on Feb 16, 2018. 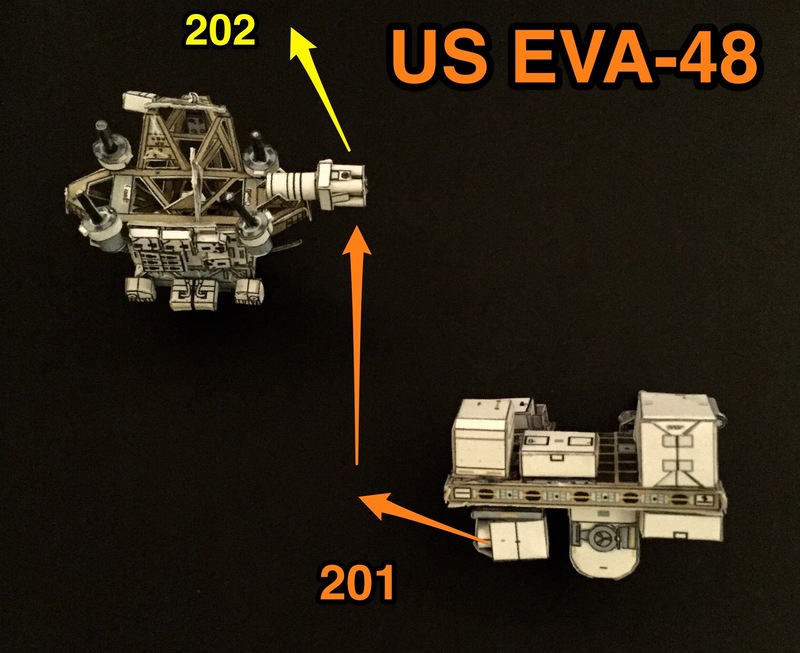 On US EVA-48, the LEE 201 was moved from its temporary stow ring and installed onto the MBS, now becoming the new POA LEE. The old POA LEE 202 was removed and put into the Quest Airlock for return on an upcoming SpaceX Dragon mission to undergo inspections and refurbishment on the ground. An important Get ahead was the installation of the “Robot Microconical Tool” on Dextre. This is the current location of the LEE’s on the ISS. Regarding what changes have to be made on the ISS model; you need to remove the spare LEE from the ESP-2 pallet.